It’s been years since I went to the beach! That’s why I felt I had to be cautious, and use those light trousers and breezy blouse – which I hardly have the chance to use in Ddorf. Because I know myself…if I am immersed in a page-turner, I end up with a sunburn. 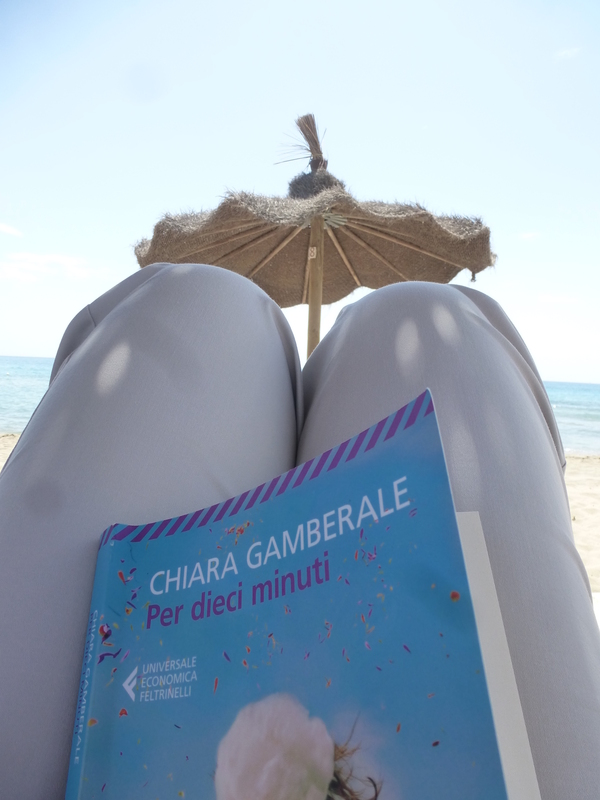 And Chiara Gamberale’s “Dieci Minuti” is a perfect read for a day at the beach.